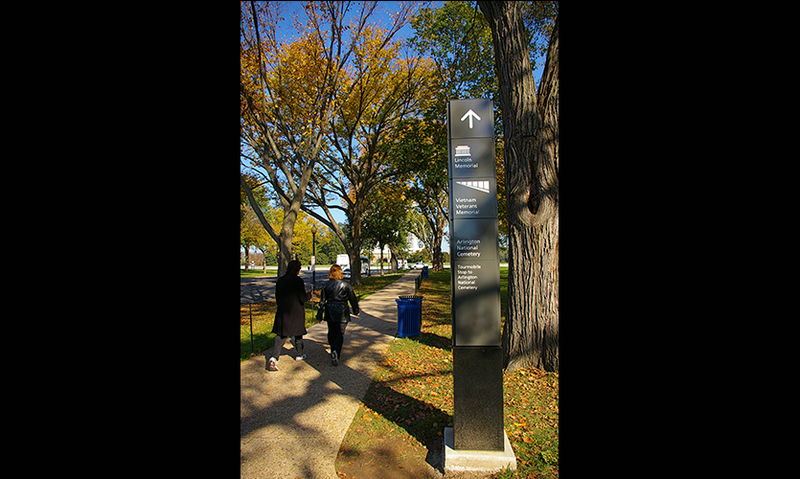 The all-new wayfinding signage program for the National Mall in Washington, D.C., is comprised of more than 500 signs and directory maps. 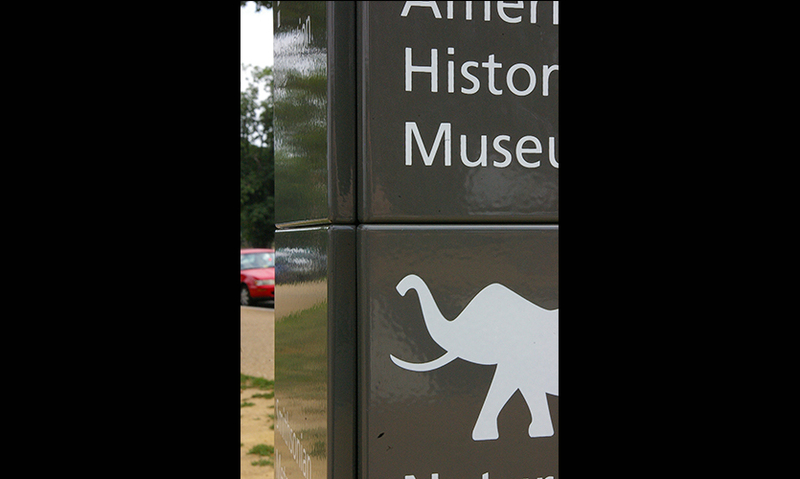 Hunt Design created a respectful and organized program that welcomes visitors and directs them to more than 50 museums, monuments, and memorials within America’s most cherished place of remembrance and celebration. 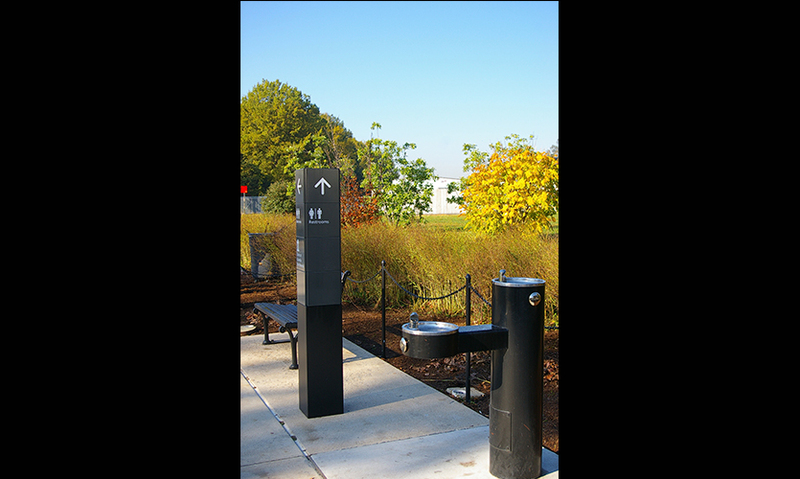 The 400-acre site serves more than 25 million visitors annually. 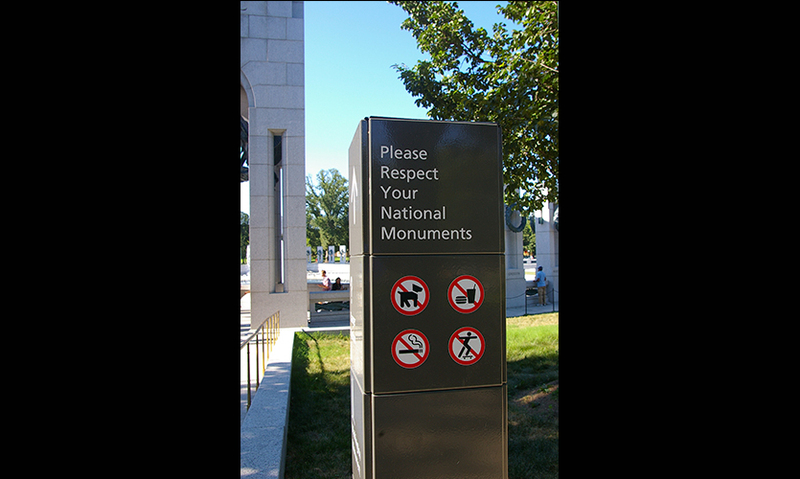 Hunt Design was charged with creating a system that would be permanent and reflective of the stature of the site but not intrusive or distracting from the monuments themselves. 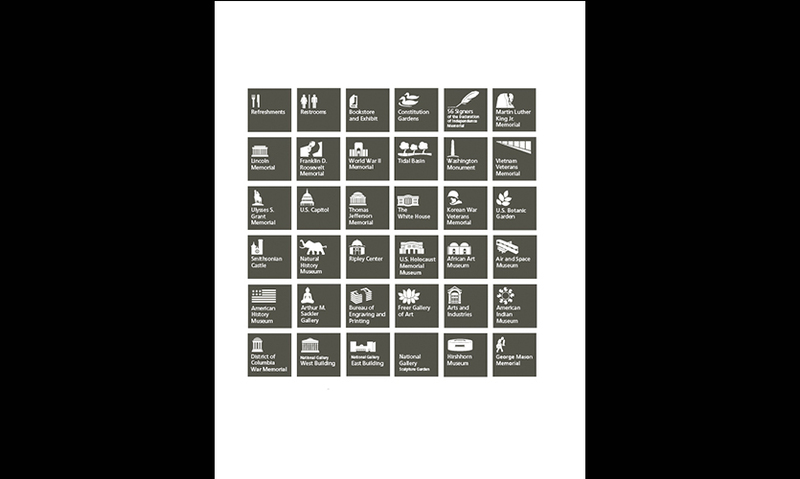 The system also needed to be updatable and incorporate a system of pictograms that illustrate and reinforce destinations. 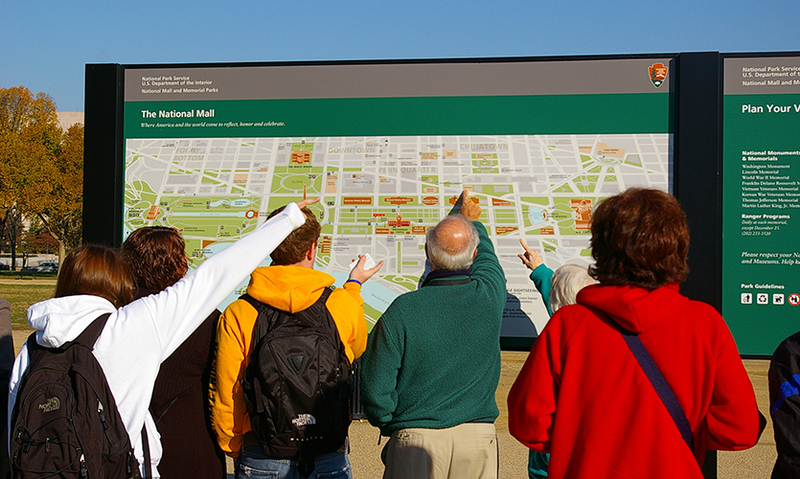 The review process for the project was extensive, including the National Park Service, the Trust for the National Mall, the Architect of the Capitol, the Downtown DC Business Improvement District, the Smithsonian, the National Gallery, the National Capitol Planning Commission, and the presidential-appointed Commission on Fine Arts. 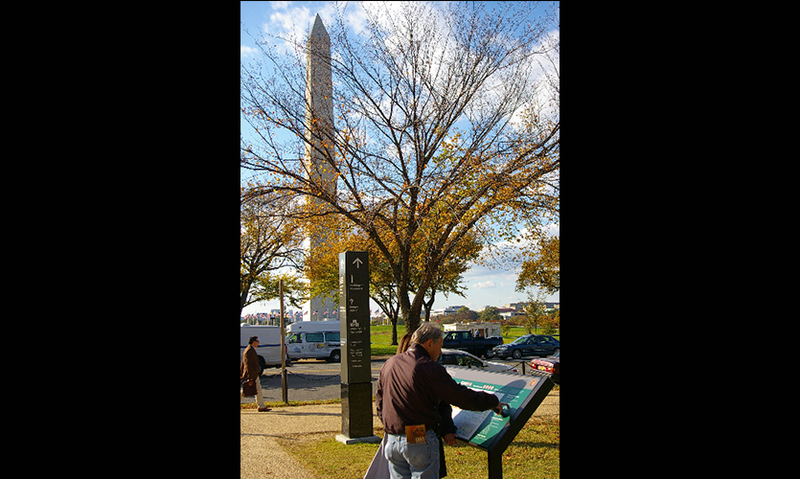 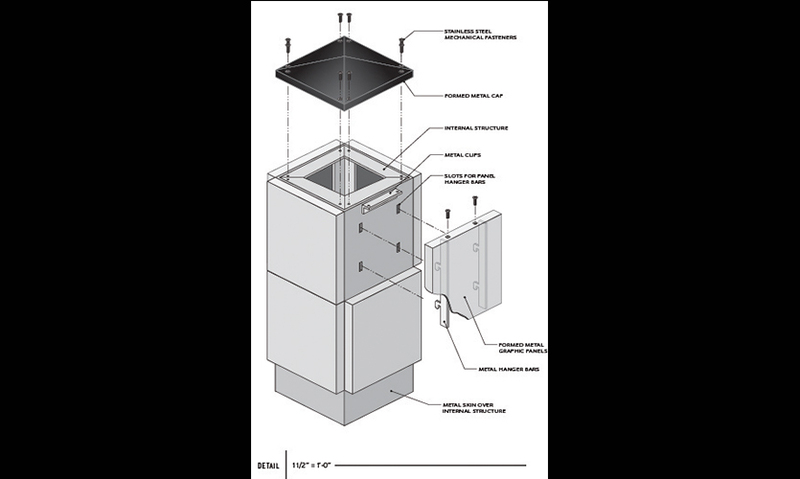 The system features porcelain pylon sign towers in two sizes: 9- by 6-foot and 5-foot, both made of porcelain enamel panels over granite bases, as well as 60 all-new visitor-friendly maps in three sizes.